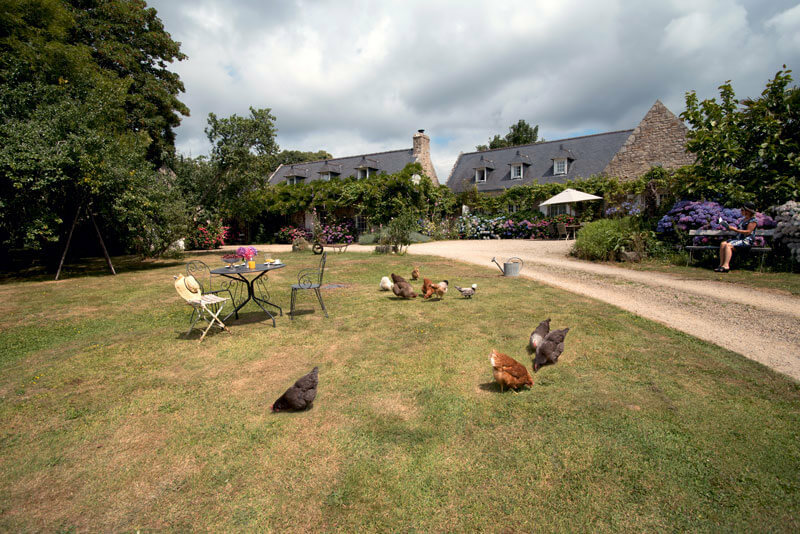 Our guest house brings happiness to numerous clients that return year in, year out, in order to profit from the delights of Brittany. Do the same, and come and re-energise in Southern Brittany, we’re ready to welcome you! A personalised and warm welcome, complete with aperitif on arrival. A chance to enjoy both the sea and the countryside at the same time. An original dwelling: a former cider works dating back to the 17th century, with its own personal history, embedded in the local area. A protected privacy: individual breakfast tables and two bedrooms with either a terrace or a private garden. A perfect place for a romantic getaway, ideal for couples, whatever their ages. Delicious home made breakfasts, always made from local produce.